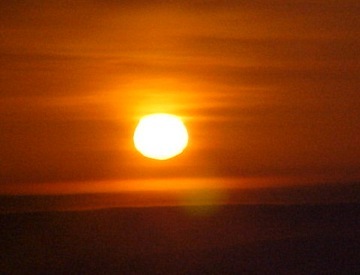 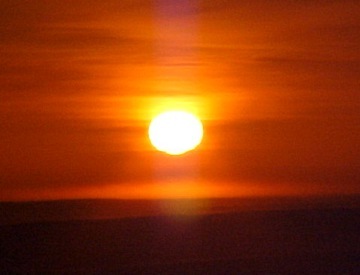 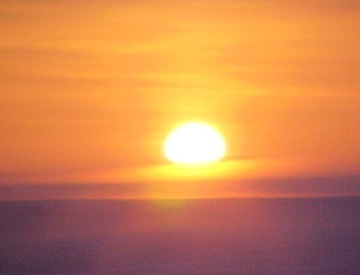 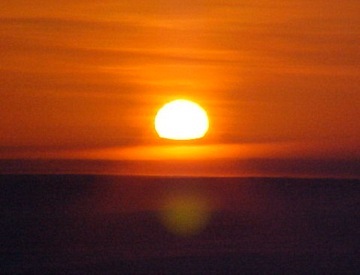 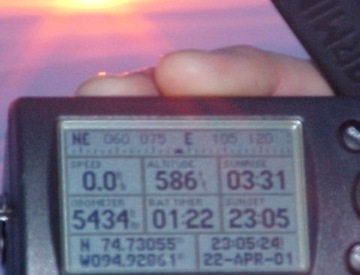 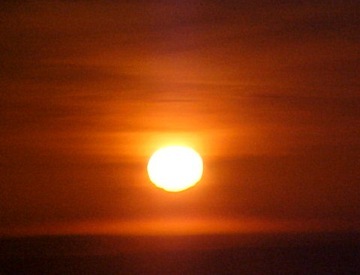 April 22, 2001 sunset sequence. 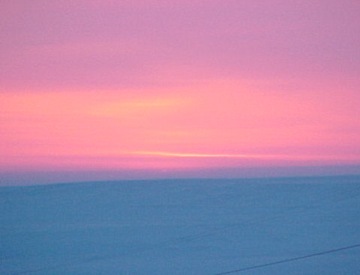 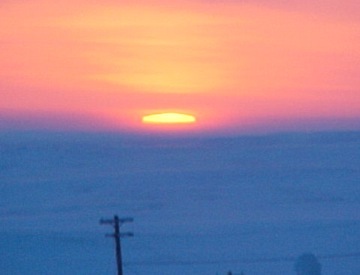 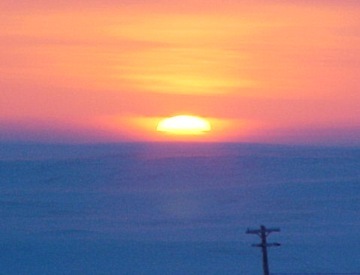 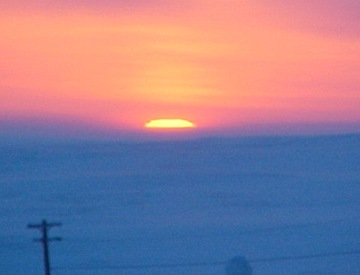 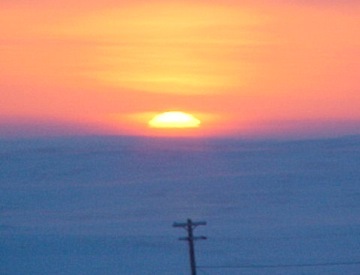 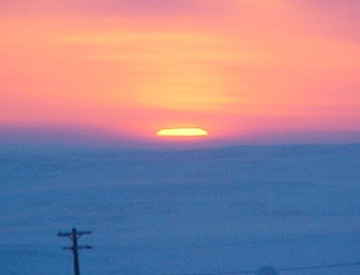 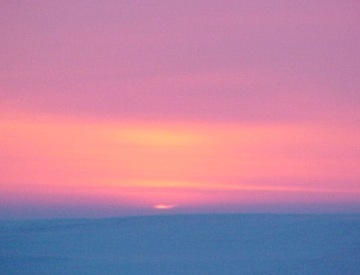 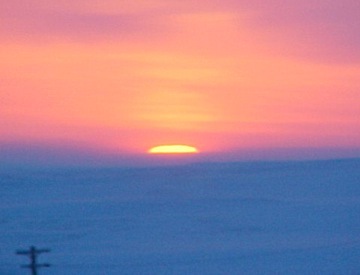 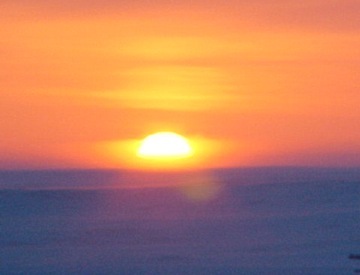 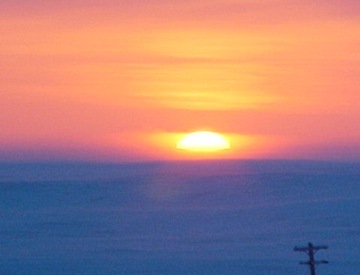 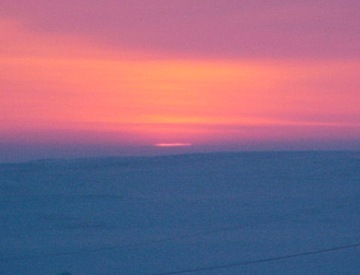 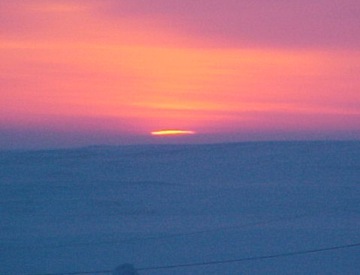 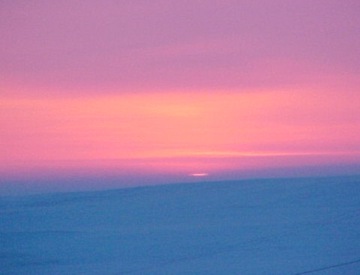 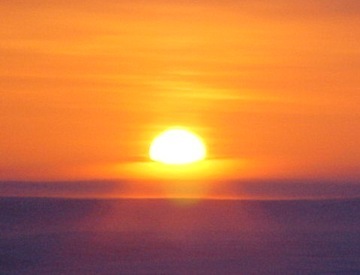 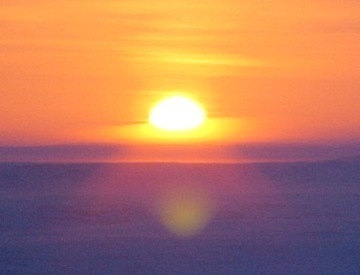 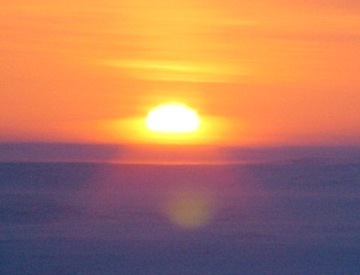 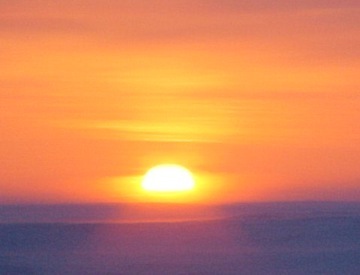 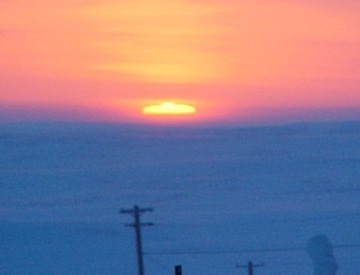 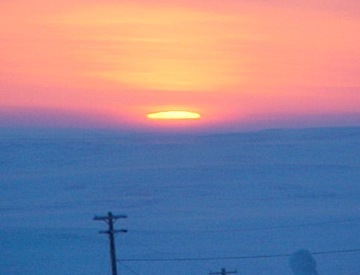 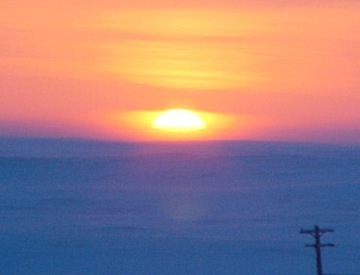 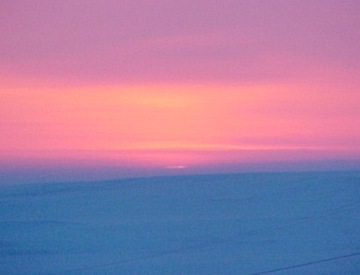 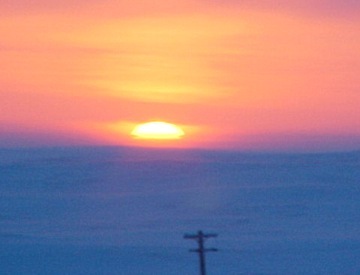 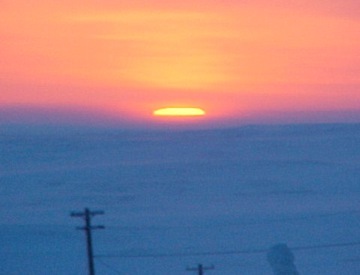 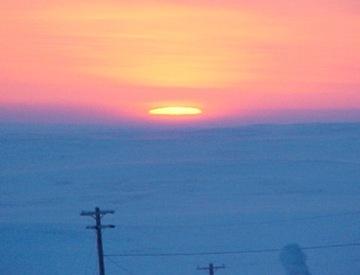 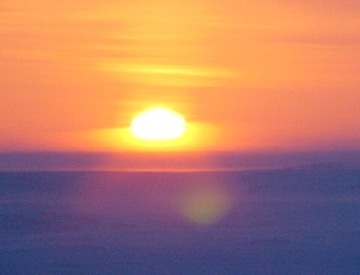 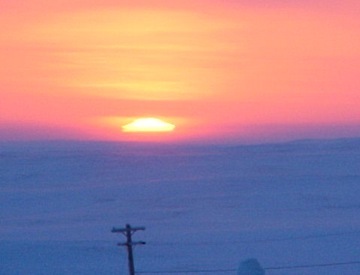 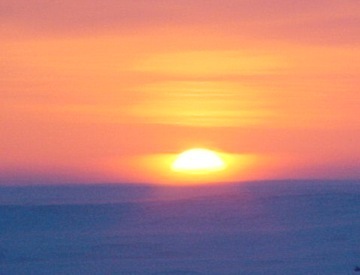 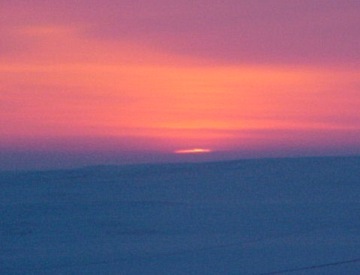 The last "line"
All phases of a normal Polar sunset are seen to your right. 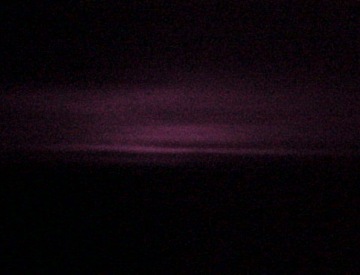 Although not as "square" as in the March sequences, the "line" showed up quite nicely, even well above the horizon. 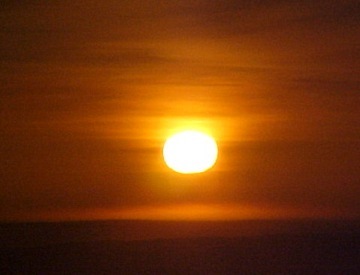 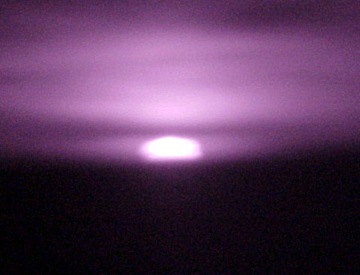 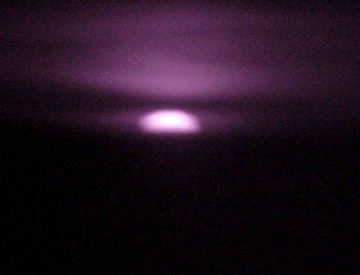 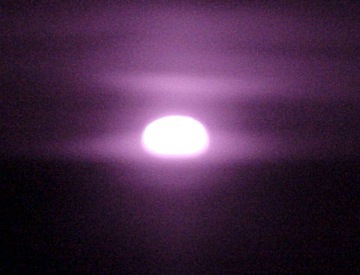 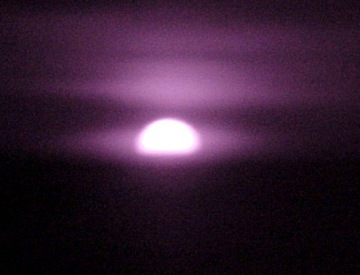 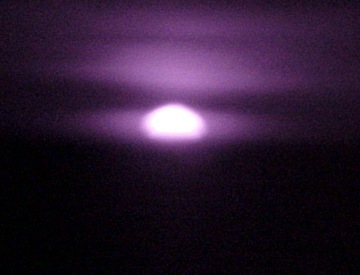 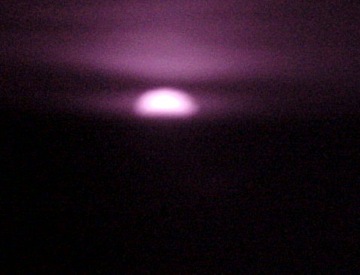 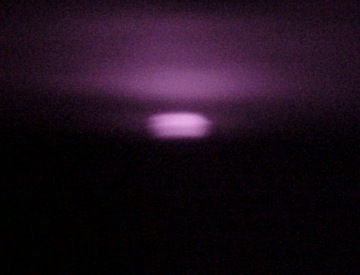 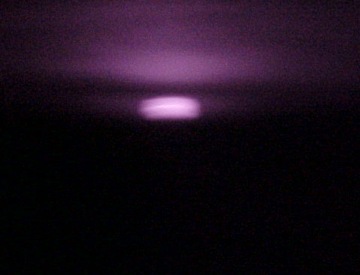 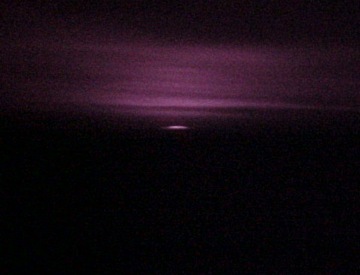 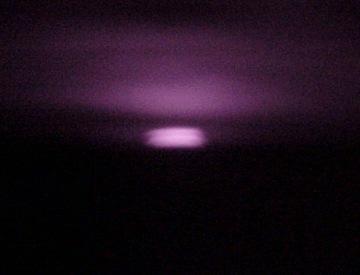 Although as you may note, the pictures were taken on a hill, at the same location as with April 28 sunrise. 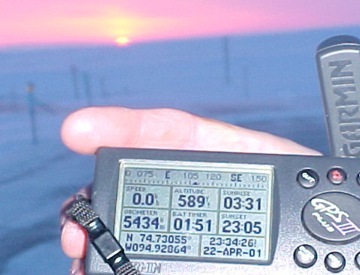 The remarkable difference between this sunset and the sunrise seen just a few days later was temperature, there was a 6 to10 degree C increase in temperature from the surface all the way to the tropopause (the atmospheric boundary layer preceding the Stratosphere). 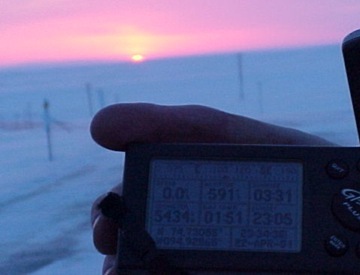 At the observers altitude, there was a very weak inversion of about 0.4 degree C for April 22, an even greater inversion existed for April 28, 2 degrees C.
The warming of the atmosphere most likely caused the rounder sunset on April 28. 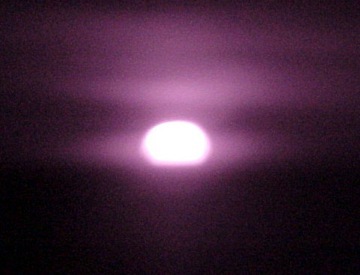 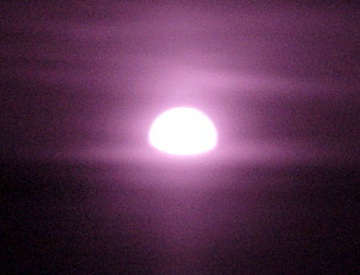 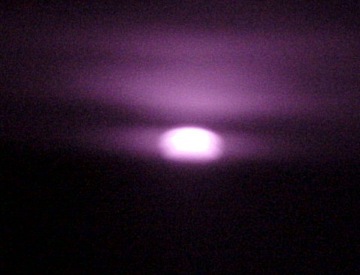 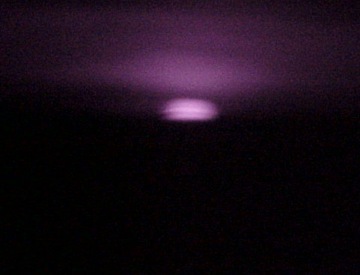 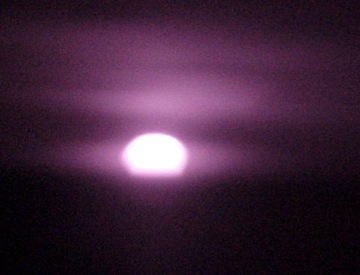 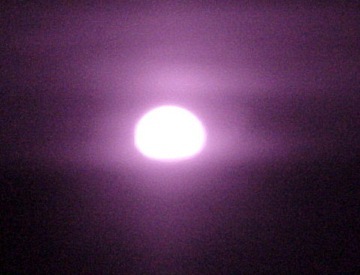 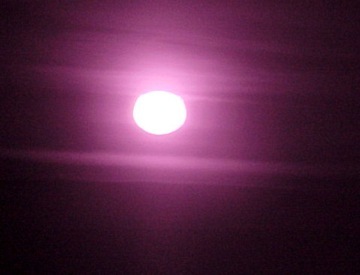 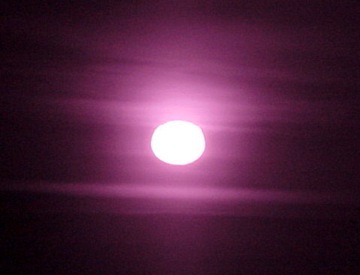 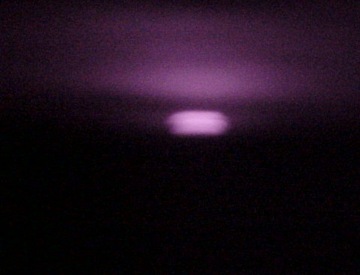 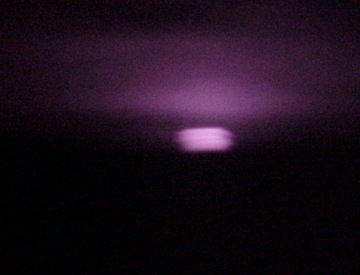 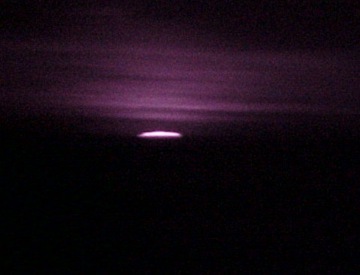 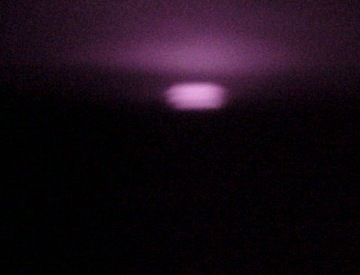 Infrared pictures, show higher sun diameters vertically, but horizontally the diameters are identical. 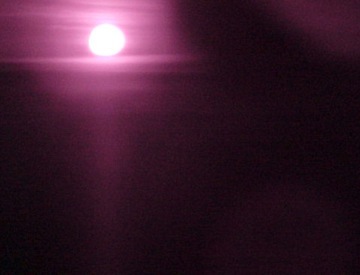 This is truly fascinating, and shows the effects of refraction in its purest sense. 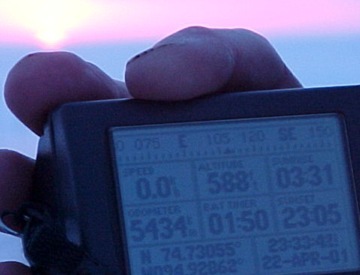 More text will eventually be found below the pictures soon. 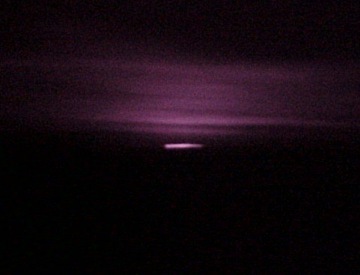 Infrared concept and all pictures from Gunther Kletetschka.